Callaghan & Batman. 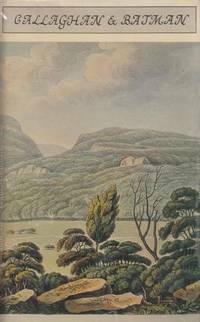 : Van Diemen's Land 1825. (Sydney, Edwards & Shaw, 2000).. 4to; pp. 44; 3 b/w illustrations; dustjacket; browning to pages, minor flecking to page edges and dustjacket, creasing to dustjacket, a good copy. Limited to 500 copies. Copy no. 430. Callaghan and Batman. : Van Dieman's Land 1825. 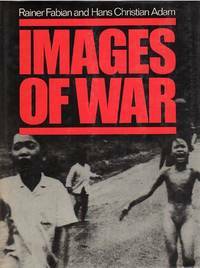 Images Of War. : 130 Years of War Photography. FABIAN, RAINER; ADAM, HANS CHRISTIAN. London, Guild Publishing London, (1985).. First UK Edition; Lge. 4to; pp. ix, 340; numerous b/w illustrations; acknowledgements, bibliography, index, sources of illustrations; dustjacket; minor bumping to dustjacket, minor flecking to page edges, otherwise a fine copy. Baltimore and London, The Johns Hopkins University Press, (1982).. 8vo; pp. xii, 308; illustrated title page, several b/w maps, notes, index; original cloth, dustjacket, a fine copy. 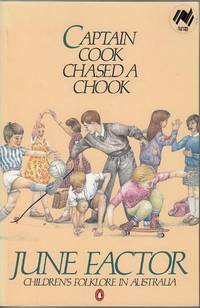 Captain Cook Chased A Chook. (Ringwood), Penguin Books, (c1988).. 8vo; pp. xiv, 290; illustrated throughout, of which many are photograph illustration; appendix; notes, references, index; stiff illustrated wrapper; bookplate; a fine copy. A fascinating study of the rhymes, games insults and other folklore that make up the rich world of Australian children's culture. It explores the folklore of specific groups such as Aboriginal, colonial and migrant children' it also raise general questions about the nature of childhood, the way in which adult culture affects children and the future of children's play. The Aeroplane. : A Concise Scientific Study. 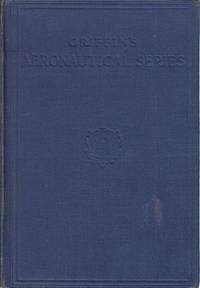 London, Charles Griffin & Company Ltd, 1918. . Fifth Revised Edition; 8vo; pp. viii, 212; 71 b/w illustrations; original blue cloth; faded and worn cloth, browned pages, flecked page edges, a good copy. Wonthaggi State Coal Mine: A short history of the State Coal Mine and its miners. Conservation Forests and Lands and Wonthaggi Coal Mine Committee, (1996).. Reprint; 4to; pp. 62; 16 b/w illustrations, numerous plans and diagrams, footnotes, sources and further reading, glossary, original illustrated stiff stapled wrapper, a very good copy. 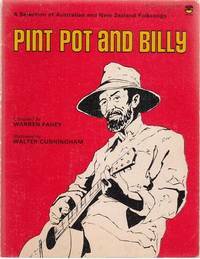 Pint Pot and Billy. : A selection of Australian and New Zealand Folksongs. Illustrated by Walter Cunningham. (Sydney), Fontana, Collins Australia in association with Ashton Scholastic, (1977).. 8vo; pp. 64; line drawings throughout; original stiff illustrated wrapper; wrapper rubbed; bookplate, minor browning to pages, pencil marks in pencil on contents page, previous owner's name in ink on title page; a good copy. Old Bush Songs. 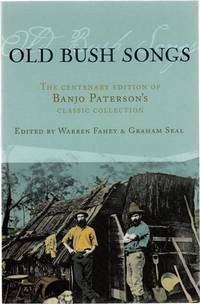 : The Centenary Edition of Banjo Paterson's Classic Collection. FAHEY, WARREN; SEAL, GRAHAM; Editors. 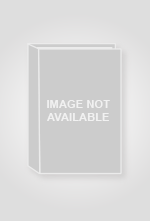 (Sydney), ABC Books, (2005).. 8vo; pp. (xii), 324; profusely illustrated in b/w throughout, select bibliography, index of song titles, index of first lines; original stiff illustrated wrapper; bookplate; otherwise a fine copy. Guide to Book Values. : New Zealand and Pacific. Book Auction Records 1949 - April 1952. n.p., 1952. (Printed by Roydhouse & Son, Carterton).. 8vo; pp. 123; original stiff wrapper; wrapper browned, minor flecking to page edges; a good copy. Edition limited to 600. Guide to Book Values. : New Zealand - Australia. Pacific - Antarctic. Book Auction Records 1952-1956. n.p., 1956. (Printed by Roydhouse & Son, Carterton).. 8vo; pp. iv 96; original stiff wrapper; browning to wrapper, minor flecking and browning to page edges; a good copy. Edition limited to 600. Guide to Book Values. : New Zealand - Australia. Pacific - Antarctic. Book Auction Records 1956-1961. n.p., n.d.. (Printed by Roydhouse & Son, Carterton).. 8vo; pp. iv 94; original stiff wrapper; wrapper rubbed, spine browned, minor flecking to page edges; a good copy. Edition limited to 500. 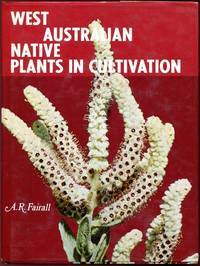 West Australia Native Plants in Cultivation. N.S.W., Pangamon Press, 1970.. 4to; pp. (viii), 253; 105 colour illustrations, schedule of synonyms, works of references, index of common names, index of genera; original cloth, minor wear to dustjacket, price clipped, flecking to page edges, otherwise a very good copy. (Somerset), Patrick Stephens Limited, (1991).. First Edition; 8vo; pp. 192; endpaper maps, numerous b/w. illustrations, index of units referred to in the text; original blue cloth, dustjacket rubbed, otherwise a fine copy. Printed by the Campfield Press, St Albans, n.d. . 120 mm. x 93 mm. ; pp. (16); numerous b/w illustrations throughout; stiff stapled illustrated wrapper; a good copy. 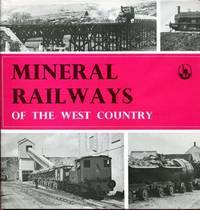 Mineral Railways. : Of The West Country. (London), D. Bradford Barton Limited, (1975).. 4to; pp. 96; numerous b/w illustrations; original cloth, dustjacket, stains on free endpapers, otherwise a very good copy. The 38th Battalion A.I.F. 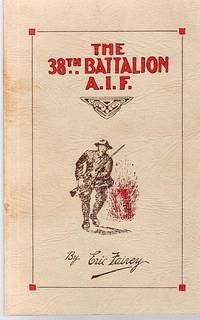 The Story and Official History of the 38th Battalion A.I.F. No Publisher or date given. (c - 1960's). Facsimile Edition; 8vo; (viii), 110; 16 full-page plates (photographs), appendices roll of honours, men who served with the battalion officers; illustrated wrapper, very good copy. The Story Of John Fairfax. : Commemorating The Centenary Of The Fairfax Proprietary Of The Sydney Morning Herald 1841-1941. 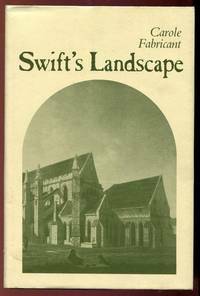 Sydney, John Fairfax & Sons, 1941.. First Edition; Lge 8vo; pp. xix, 169, colour frontispiece, numerous illustrations throughout, original quater leather papered boards with fairfax stamp, light browning to dustjacket, small closed tear, flecking to edges, a very good copy. Warwick Boyce Publication, (1958).. 8vo; pp. 152 (last page blank); 32 writings; name on front endpaper, chipped dustjacket.